Our performance based luxury skincare for men has been developed with a core belief that promoting the health of the skin is paramount. The Ingenium Range – Engineered skincare for men - uses nature and science to formulate results driven skincare products for men. A luxury range of male skincare products that are at the forefront of the male grooming industry. The product range includes - Male Moisturiser / Face Cream, Male Cleansing Gel / Face Wash, Face Polish for Men / Face Scrub and our Humanity Cosmetics Eye Care / Eye Gel for Men. The ideal grooming product range for the modern man, who likes to look after his skin. We featured on ITV's Lorraine show this summer, with a smashing review from Mark Heyes. Watch the clip here! HUMANITY COSMETICS is a premium male grooming brand. Responsibly sourced natural ingredients combined with the latest in skincare technology. Their Male Moisturiser is a multi-purpose, anti-ageing, daily lightweight hydrating fluid, specifically developed for male skin. A powerful formulation combining a cocktail of plant stem cells and natural plant actives with green algae, amino acids and jellyfish collagen. 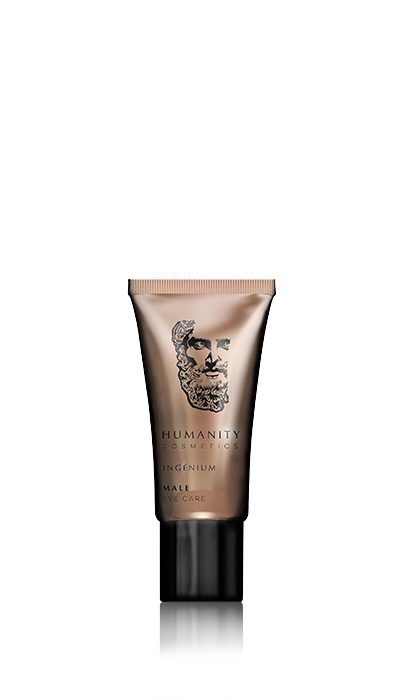 New skincare brand Humanity Cosmetics works on the (well realised) assumption that men have evolved from using basic skincare and are in search of more specific, luxury products that improve the overall health and appearance of the skin. The range from Humanity Cosmetics seeks to deliver these goals, with its high-end range developed exclusively for men.